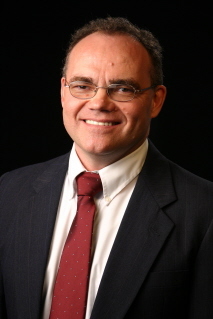 Hypnosis in Orlando, Florida with Daniel Olson | founder, master hypnotist, trainer, NLP, consultant and author of The Secrets of Persuasion – Daniel Olson – Our goal is to provide clients with a powerful hypnotic experience for change and improvement. “I want to help you to fulfill your goals and ambitions and to help you with any problems you have. Equally important, I want each client to rediscover that changing and making improvements can be easy and quick,” said Mr. Olson. According to the master hypnotist, it wasn’t that complicated after all. For example, if you are someone who’s afraid of flying, he said that that fear exists completely within your mind, and that it was within the individual’s power to make it stop. Hypnotism, he argued, would made that possible by bringing you to a heightened state of focus where you could, for a brief period at least, where changes could be made to one’s unconscious patterns. Learning self hypnosis is also very important in achieving greater success and happiness. of hypnosis (transpersonal hypnotherapy institute)Colorado. Really it was very interesting course and helped me much.Due to the chance of being in Orlando at February 2015 joining pharmacist development conference from 18-21 I’m planing to stay their for 2 weeks and i would like to ask if it possible to join practical class for hypnosis through my stay or even if you can arrange personal learning for me it will be wonderful for me .. When undergoing hypnosis, hypnotherapy or hypnotism, one undergoes a change in the way the brain allows you to think, feel and act, simply by putting oneself into a hypnotic state and listening to or repeating suggestions that get deeply into the mind and affect change. You can hypnotize yourself in self hypnosis or you can see a hypnotherapist who can help you go into a hypnotic trance. It takes a bit of special training to be able to do hypnosis. 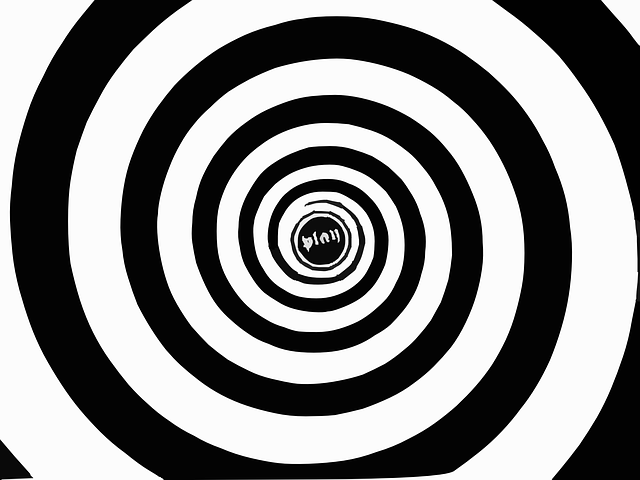 Hypnotherapy or hypnotism involves an induction state in which the client undergoes visualization exercises such as using the staircase technique in which the hypnotherapist counts backwards from ten to one and then the client imagines he or she is descending a staircase with ten steps, the bottom of which is a feather bed. Other visualization techniques have to do with actively relaxing the muscles around the face, arms and legs until the person is completely relaxed. In the practice of hypnosis, hypnotherapy, hypnotism or related techniques, an individual can be given particular suggestions that can affect change in the way they act, think or feel after that. For example, if the individual is suffering from weight loss issues, they can be given suggestions related to weight loss and will begin to lose weight because they won’t be so hungry anymore. For example, suggestions such as “I am not hungry for sweets” or “I am not attracted to fatty foods” or “I am a thin person inside myself” will affect change in behavior (eating) and in thinking (self esteem). It changes the way the person acts around food. Hypnosis, hypnotherapy and hypnotism can be used for many medical conditions. These techniques can be used for pain control such as the pain of childbirth, the pain of cancer or the pain of irritable bowel syndrome or arthritis. One basically goes through the induction process and then is fed suggestions like “The pain is blunted and I hardly feel it” or “You will no longer feel such pain” or “The pain is completely controllable.” Such suggestions work on the brain and probably affect the levels of endorphins in the body so that there is a diminished feeling of pain. When you undergo hypnosis, hypnotherapy or hypnotism for smoking cessation, you can often have the urge to quit smoking after just one session. The hypnotherapist puts you into a hypnotic trance and then feeds you suggestions to help you quit smoking. Suggestions can include those like “I have no need to smoke” or “I am a nonsmoker” or “I am repulsed by the thought of smoking”. It affects the way you behave around smoking, it affects what you think about smoking and it affects what you feel about smoking. Hypnosis, hypnotherapy and hypnotism can be used for anxiety or phobias. After going into a hypnotic trance, the client is fed suggestions like “You are no longer afraid of water” or “Animals don’t bother you anymore” or “I am not afraid of heights at all”. It can simply change the life of anyone who undergoes the process. 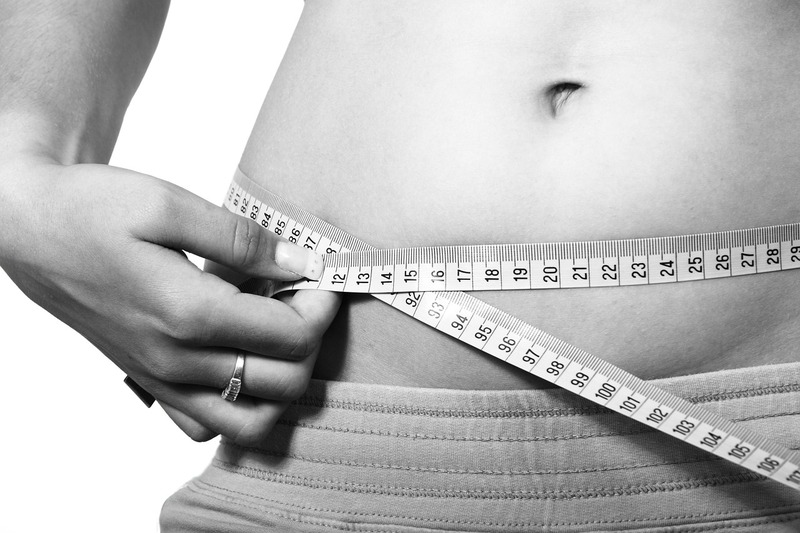 Weight loss hypnosis Orlando is one of the more common reasons why a person would undergo hypnosis. Hypnosis and weight loss have gone together for many years and helping a person successfully lose weight can easily happen in just one session. As a hypnotherapist, you would need to understand the issues around weight loss and eating problems. You would use your skills to accurately attack the mistakes of thinking that underlie the behaviors involved in becoming obese. Hypnosis and weight loss are two things that few people have learned to put together well. A good hypnotherapist will understand that some overweight individuals have issues with food addictions. They are addicted to chocolate, sweets or fried foods—all things that are not healthy for you. You, as a hypnotherapist, give suggestions such as “I no longer crave sweets” or “I will not like fast food restaurants” or “I do not like the taste of chocolate”. If all goes well you can affect a change in just one session. When you combine hypnosis and weight loss sessions, you also have to address the issue of appetite. The client often perceives or has an appetite that exceeds their daily calorie requirement. It is then that, once the client has gone through an induction and is deeply hypnotized, you begin to address the issue. You may say things like “I have no desire to eat” or “I have no appetite”. These are things that can specifically address the amount of food the person takes in, resulting in a nice weight loss. In hypnosis and weight loss hypnotherapy sessions, you will also want to address the problem of poor self esteem of the individual. They often feel fat, unworthy and unloved and this contributes to the progression of their disease. It is important for the hypnotherapist to recognize that this is an important part of what makes an individual backslide and remain heavy. In order to address such issues, the hypnotherapist might say some suggestions like “I am a worthy individual” or “I can be thin and be happy” or “I am a worthwhile individual”. Weight Loss Hypnosis Orlando and here may be other issues related to hypnosis and weight loss that a hypnotherapist needs to address. The individual may have certain times of the day when they are craving foods. The hypnotherapist may have to give suggestions related to cravings in general or cravings at particular times of the day. The individual may have problems once they start losing weight—unable to accept their new bodies and see themselves as thin. The hypnotherapist may have to deal with issues of how the client sees themselves by giving them suggestions like “I am a thin person inside” or “I deserve to be thin” or “I am happier being thin”. These statements help the client come to terms with their new body. One of the most important and delightful aspects of hypnosis is the hypnosis induction. This involves the steps a person must take to go into a deeply relaxed and peaceful state, after which the person is susceptible to suggestions given to them by a hypnotist. It involves a variety of visualization techniques that can bring you into the relaxed state. One method of hypnosis induction involves having you relax. The hypnotist asks you to close your eyes and begin to breathe deeply and slowly and listen to everything the hypnotist says. The hypnotist will then tell you to relax the muscles around your eyes…and then your face…and then to keep breathing deeply. They tell you are drifting into a hypnotic trance and tell you that your mind is beginning to solve all your problems. They then say that your own inner mind can respond automatically to everything the hypnotist says. They tell you to relax your whole body and to focus on the hypnotist’s voice. Another type of hypnosis induction is called the staircase method. The hypnotist counts backward from ten to one and will tell you that you will imagine yourself descending a staircase. At each step you will go deeper and deeper into a hypnotic trance. At the bottom of the staircase are a feather bed and a feather pillow. When you reach the bottom of the steps, you will fall into the feather bed and pillow and will be in a deep hypnotic trance. You will be completely relaxed and will then be susceptible to hypnotic suggestions. Not every hypnosis induction works well on everyone and hypnotists have different hypnosis inductions that they prefer. All of them get you to a susceptible and relaxed state so that the suggestions and post hypnotic suggestions work best. Another hypnosis induction begins with asking the client to begin relaxing the muscles of their face and then to move on to the muscles of the shoulders, the arms and the fingers. Finally, you work to relax the muscles of the stomach and chest, down to the legs and to the feet. You then tell the client to relax completely and to open up into being susceptible to hypnotic suggestions that you tell the client. Still another hypnosis induction method is called the “magic spot”. As the hypnotist, you tell the individual to get really comfortable and stare up to the ceiling focusing at a magic spot that may begin to magically change its shape. You tell them that the spot may magically change its color. As the subject watches the spot, they will feel their eyes wanting to close. The subject will then focus on another pot and notice that their eyelids are closing even further but that they can see the spot on the ceiling even with their eyes closed. The spot is their very own and can begin to sparkle and change shape as they drift into a deeper and deeper level of unconsciousness. The subject is then ready to receive the various hypnotic suggestions they receive from the hypnotist.